While continuing my recap of adventures had a year ago, here is round up of what Warwick has to offer. 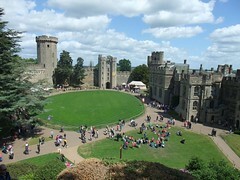 Warwick Castle – It’s apparently Britain’s ultimate castle and does quite feel like it. 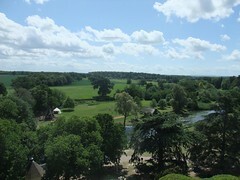 There are some extensive grounds to picnic or stroll around, although you do have to share it with some peacocks. The history of the castle and its place in broader British history is interesting, such as its involvement in the civil war and even attempts at modernising its power supply offer something for everyone. Oh wait you don’t think that’s enough? OK well there are trebuchet, knights and archery displays too. You’ll have to pay additional charges if you want to do the Merlin (as in the tv show) tower and dungeon shows. Both of which I did do and they have high snark/campiness values but if you can put that aside you might have a laugh. I only smiled wryly. 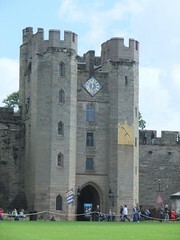 Warwick Castle is the primary attraction hence all the time spent on it here. 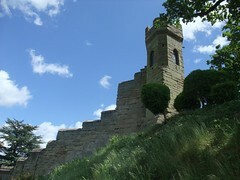 It is silly and over the top but there is something slightly endearing about it especially on a nice day and when you get to the top of the battlements and have a view over the surrounding area. 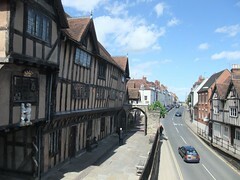 It is possible to spend a good chunk of the day here but also have enough time to check out Warwick’s other sites. Warwickshire museum – a mid sized museum with some interesting displays covering the geology, dinosaurs, neolithic, Roman, medieval and modern history of the area. A good overall view. 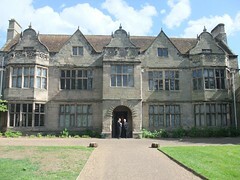 St John’s House – a larger museum offering a social history of the area, covering everything from home life to the military. I got here quite late in the day so had to rush around in about 20 minutes but if you can spare 30-40 you should get a decent idea. 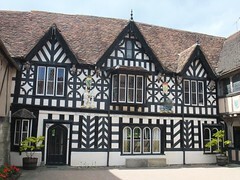 Lord Leycester Hospital – is a 16th century building that’s primarily a home for retired servicemen but given its age is also home to a museum and also permits tours of its chapel (apparently Tolkein got married there) and gardens. The staff were quite friendly and it was a pleasant wander although the military history didn’t really engage me (I put that down to fatigue). NB the link is to Wikipedia as their main site doesn’t appear to be working. After all of that I don’t really know if ‘adventures’ was the right term. Nonetheless it was pretty interesting if a touch commercial, although the castle offers a lot for families.